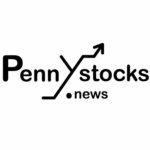 Detroit, Michigan, Nov. 14, 2018 (PENNYSTOCKS.NEWS) – Textmunication Holdings, Inc. (OTC PINK: TXHD), Textmunication is glad to announce that they have completed an agreement with a key strategic partner in the SMS-service industry. They have completed an agreement with a White Label partner, I-Text Inc. This gives Textmunication a serious significant increase in their connection to non-profit, foundations, corporations, education and healthcare companies and institutions which adds up to 40,000! What does I-Text Inc. exactly do and why is this agreement so important? I-Texts, Inc. has created a software platform that address many different critical needs. Some of these needs are, business management, information management, compliance, and risk mitigation. The company operates a platform that receive multimedia messaging service, like pictures/video. The short messaging service/text messages from mainstream national advertisers. The company is based in Austin, Texas. The I-Texts, Inc. operates as a subsidiary of Global Marketing Services, LLC. The new I-texts agreement with Blackbaud and Rakuten will be providing the delivery of mobile marketing advertisements. The nonprofit members, in exchange for a share in the revenues with both entities. The I-texts SMS solution, is powered by Textmunication. This will also allow the nonprofits to communicate directly to their members for donations, volunteering, event management and overall updates. I-texts will offer affordable SMS service packages to nonprofits, universities and foundations that function across the globe and is integrated into the Blackbaud CRM platform. Textmunication’s White Label program provides companies access to every solution available on Textmunication’s Smart Automated Messaging (SAM), allowing companies to seamlessly provide their branded solution through the Textmunication platform.